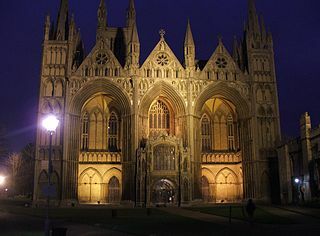 IAWM (International Alliance for Women in Music) - Pauline Oliveros Prize 2014 for Electroacoustic Media - Honorary Mention for "Not Missing You"
A Portrait of Peterborough - Commissioned for the inaugural concert of the City of Peterborough Symphony Orchestra at Peterborough Cathedral, conducted by Anthony Hopkins. Andaman Islands commissioned by Tropica Florida (promotional film for Thailand). First Impressions - Television Dance Programme - Winning Composer. Funded by the Arts Council of Great Britain, Arts Council East, Cambridgeshire County Council, Peterborough City Council, and Peterborough Arts Council. Set up a wide range of projects throughout the City including Percussionworks, with Evelyn Glennie as Patron. Cambridge Footlights - Musical Director/Composer including the National Tour.